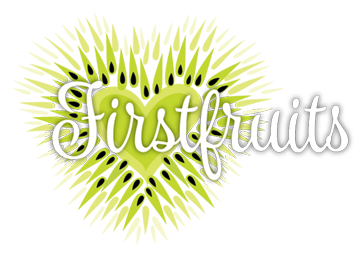 Firstfruits began with an idea: How could women’s needs to gather with other women, experience God’s love and go forth more centered on their own giftedness and purpose be met? Then the Holy Spirit stepped in and something powerful happened! In the beginning … Firstfruits began as a vision for a women’s ministry whose purpose was to gather women to experience God’s love. And as a result, be transformed! As word spread about this unique opportunity, other parishes became interested in hosting a Firstfruits gathering. It became apparent to the founders of Firstfruits that this “gathering” needed to be moveable. We became known as a moveable feast of spiritual opportunities for women. What Is It Like To Come To Firstfruits? Imagine that someone has thought of your every need – physical and spiritual. You become more certain when you arrive – you easily spot a welcome sign, and park nearby. When you reach the door into Firstfruits, a smiling face greets you. You receive a name tag and a small schedule that includes the name of what you signed up for – in case you forgot – and the times and rooms they are held in. If you’ve signed up for child care, you will be directed to that room. a vibrant, warm contemporary cafe, with kiwi green accents, chalkboard quotes and more. Whether you are there in the evening, morning or at noon, the Kiwi Cafe offers everything you need and wish you had time to have ready around at home. Fresh coffee – regular and decaf. Ice water with lemon slices. Iced tea as well as a selection of hot teas. A soup supper or salad/sandwich lunch with cold veggies and fruit. Platters of several kinds of miniature homemade bars and treats invite you to enjoy more than one taste. It takes some time to realize that this restful environment has been created just for you! …And this is just the prelude. Opportunities are offered to attend up to three break-out sessions - evening, morning, and/or afternoon. Each woman can come when she can and leave when she must, as registration is separate for each session. You eventually gather with other women in the prayer room. There is beautiful live music and singing. A few moments to rest and ponder. A small bowl is being filled with prayer requests – you’ll learn about the artichoke dish and much more during Joan Carey’s reflection that follows a communal prayer. Then you head off to your first session – the one that spoke to you from among several choices. Maybe a half a dozen women gather, maybe 15 who have made it a priority to be here, just like you. Introductions are made and together, you dig into the heart of the subject with a well-prepared and well-qualified presenter. You might consider a parable, get tips to discern the voice of God in the clatter, focus on Franciscan prayer, or ways to strengthen your family’s faith. Even a faith-workout may be part of the mix! Three sessions are usually held – the night before, the next morning, and that afternoon. Come when you can, leave when you have to, as registration for each is separate! A long mid-day break means unhurried women can visit over in-depth conversations over lunch in the Kiwi Cafe. It doesn’t take long for them to find common ground. Or – really! – take some one-on-one time for yourself with a certified Spiritual Director, chaplain, parenting coach, prayer partner, and even a 15-minute chair massage! You also may spend quiet time in prayer. Then each woman heads to their afternoon session – maybe several faces will be familiar, maybe not. But once again, you are delighted to be sharing this time with other women of faith. Our mission at Firstfruits is to assist women in their spiritual growth by deepening their personal relationship with God and by helping them awaken to their giftedness and purpose – all done in community with other women. Firstfruits is Catholic Christian in tradition, ecumenical in outreach. We are located in the Village Court plaza behind BMO Harris Bank, off of Elm Grove Road & Wall Street, across from Sunset Playhouse.